The Western Sydney Wanderers faint finals hopes have been snuffed out with another inept defensive performance that saw Newcastle score 3 times to cancel out goals to Rashid Mahazi & Keanu Baccus to run out 3-2 winners. While Newcastle would have had a slim hope of making the finals even with a defeat, for the Wanderers it was simple, win or start preparing for next season. They began the first half very strongly, the midfield combination of Baccus & Mahazi dominating the Jets and setting up the likes of Baumjohann, Duke, Yeboah & Riera for numerous assaults on the Newcastle goal, that the visitors were unable to breach until right before the half-time break. A silly foul on the edge of the penalty area against Baumjohann let the attacking midfield swing in a cross in a corner like position, Newcastle completely ignored the run of Mahazi and he glanced a header into the net. Newcastle adjusted in the second half and eventually equalised on the hour mark. A total lack of marking from Raul Llorente and Tarek Elrich let Roy O'Donovan pick up a ball inside the penalty area, he turned and aimed a sidefoot shot past Vedran Janjetovic. Newcastle took the lead on the back of another dismal howler from Janetovic. Adding to his tally of schoolboy errors this season, from a Dimi Petratos corner fired straight into the near post, Janjetovic got his body position completely and utterly wrong, managed to do nothing more than punch the ball into the side netting. Keanu Baccus continued his good season with a wonder strike not more than 4 minutes after going behind. A brilliant solo effort, picking up a layoff from Roly Bonevacia, the central midfield took two touches to aim in on goal before launching a rocket into the roof of the net giving Glen Moss zero chance at even touching the ball. Both sides pushed for a winner and it ended up being Newcastle who scored it in the 82nd minute. A horror mixup on a ball that both Elrich & Hamill could have cut out resulted in the pair effectively tackling each other, the ball dribbled into the path of substitute Angus Thurgate and he lashed it homeward for a 3-2 win to Newcastle. The Jets keep their slim hopes of a finals run alive, while the Wanderers are almost certain to finish in 8th spot behind Newcastle and in front of Brisbane & Central Coast. 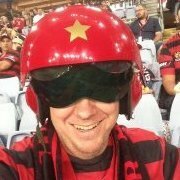 Western Sydney play Sydney FC next week at Homebush Olympic Stadium on Saturday night at 7:50pm. While Newcastle would have had a slim hope of making the finals even with a defeat, for the Wanderers it was simple, win or start preparing for next season. Have it on good advice that Elrich, Janjetovic & a third player were seen grabbing a kebab at 2.30 this arvo from a Newcastle shop. The same logic can be applied to this game. First half: Good Wanderers. Second half: Bad Wanderers. Perhaps it may be a good idea to skip the pre game kebab at this level, save it for the amateurs. May not be the best fuel for a professional sportsperson. I wonder what toppings they got with it. And who the 3rd player was. The WSW goal giveaway was in town. Whatever happened to playing football for 90 minutes, not just 30, 45, or 60? As soon as Treejack went off, we faded. And as of this evening I am convinced that Janjetovic is a double agent. MB: "Sometimes I wish our strikers had this space, this time to score a goal." - says it all. I very much doubt Vedran could successfully grab anything. so we looking forward to next week? I don’t understand how a fullback educated in Spain thinks it’s ok to defend three metres away from the opposition. Tour of the new stadium? Absolutely...what else is on....ah the Easter show..that doesn't do much for me, but I don't mind the wood chop. The wood chopping is awesome. That thing where they make displays out of fruit is pretty good too. So much good stuff.. the cream and jam scones at the CWA, knitting display, ferrets can never leave without seeing those top top stuff...can't ******* wait. Hmmm, the wife can go to the Easter show, I will do the stadium tour and **** the derby. We lost this game in the first 25 minutes when we absolutely dominated and did not score. Put two of any those number of chances away, and Newcastle are probably toast. In hindsight, we played really well and didn't let Newcastle dominate at any stage, yet once again, we COULD NOT take advantage of that dominance, and stupid, ignorant and amateur defensive errors cost us this match. I've been really patient with Vedran's performances this season, and have refrained from calling for his head on every occasion that he has ****ed up. Well, tonight was the last straw. I've had enough of his **** ups. He needs to be the first player gone. Our back 4 are makeshift at best. I'm not so harsh on Hamill. He tries hard and would probably be better served with another proper centre back beside him like Zeigler (what a waste of money he has been so far). Elrich isn't that person. That's not necessarily Elrich's fault, he just ain't a CB. Kamau and Llorente either side of them is just not on. Risdon - well he can leave now. This has been our major problem this season. Well, this, and our centre mids, which have just been a rotation of fill ins for various reasons. I truly hope that over the past 3 or so months, Marcus has been onto fixing this mess up. Clearly, we have the basis of a decent squad. Our front third are sort of ok. I'd keep Riera if he wants to stay, but on reduced money. Duke is here and is a fair dinkum asset to this club. A great buy by MB. Yeboah I'm in two minds about. Seems to have a touch of glass about his physical stature. I'd keep ABJ as he is class, and I think playing in a new stadium like we have coming up may inspire him to want to be on the park more, rather than just cop out. Roly can go, that is, if he isn't already gone. So, a new marquee LM, CDM to help Baccus, CB, and throw in Zlatan at the last minute to sell the last few season tickets. BTW, I ******* love the Easter Show. All that country bumpkin stuff and all. And, all those baby animals are so freaking cute. There are so many things I am looking forward to next week before I even get to the derby on the list, going to the dentist on Wednesday is far above for a start. Our finals hopes were extinguished months ago as we clearly had a squad incapable of making a sustained impact. A ruthless Popovic style clean out surely is in order. Riera ignited and looked ready to jump the fence post match when someone in the RBB called him out and asked "the money is good in Australia huh". His teammates luckily for him held him back and his sensitivity certainly surprised me but then again maybe it's a sore point. The Derby next week will reveal the lowest point in the club's history on and off the pitch. We can only hope that things get better when we return home. I'm a lot more hopeful about next week than i was 2 months ago, things have improved not massively but none the less improved. Biggest query for me, is MB gonna pick Verdan? Our finals hopes were extinguished months ago as we clearly had a squad incapable of making a sustained impact. A ruthless Popovic style clean out surely is in order. Riera ignited and looked ready to jump the fence post match when someone in the RBB called him out and asked "the money is good in Australia huh". His teammates luckily for him held him back and his sensitivity﻿ certainly surprised me but then again maybe it's a sore po﻿in﻿﻿﻿﻿﻿﻿t. The Derby next week will reveal the lowest point in the club's history on and off the pitch. FWIW I hate the Show...and if I still went, the thing I'd like most is the ""country bumpkin" stuff - which I refer to as the 'giant pumpkin" displays! But the wood chopping and the baby animals would also be on my list of things to see.............if I ever went again. And as for the derby...ughhhhhhhhhh! Mate, your grammar is awful, but I'll try and reply to what I think you are talking about. 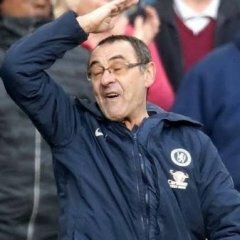 Will the club fix our **** next season? No one really knows. Tbh, I wouldn't be surprised if they just think that this shiny new home of ours will fix everything. Yet again, I live in hope that they will throw some $$ at some decent imports and try and hit the ground running. The club have 3 seasons of shite at Olympic Park to repair with their fans. 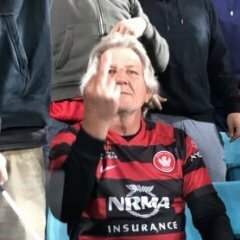 We've seen the debacle that our once proud active support has become due to their relationship with the suits at the club, the FFA and the shite security and oink oinks with tasers at SOP. We really have to get back to Parra on a roll, hence why I posted that you tube video re la banda having a jam in the forecourt of the old stadium. FWIW I hate the Show...and if I still went, the thing I like most is the ""country bumpkin" stuff - which I refer to as the 'giant pumpki" displays! I have always loved the Easter Show. As a kid, and as an adult. More defensive errors from guys who would struggle to get a start in any of our first 4 seasons teams, and are barely a step up from the likes of Golec & Mullen. oh & a big thank you to the Little Hitlers of Newy's secco crew & their Sicherheitdienst comrades from NSW Police. They made sure that any dangerous practices like fans being active were kept under a tight lid.